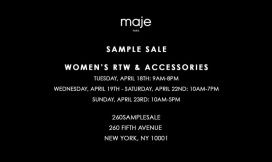 The Maje Sample Sale will feature big savings on RTW and accessories for women. 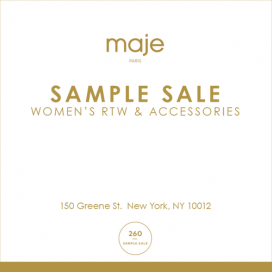 Take big savings on women's RTW and accessories at Maje Sample Sale. Take massive savings when you shop for designer clothes, shoes, and handbags at . 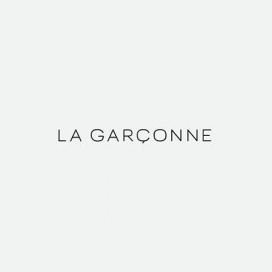 Several designer brand items will be up for grabs at as much as 80% discount. 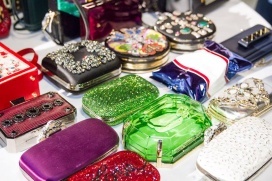 Brands included on sale are Valentino, Sandro, Tibi, Chloe, Maje, Derek Lam, The Kooples, Helmut Lang, Tom Ford, Jimmy Choo, John Varvatos, and Paul Smith. Maje is a clothing brand specializing in Women's apparel and accessories. 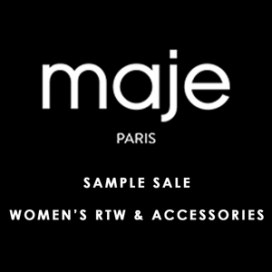 Shop for Maje's items at discounted prices at the Sample Sale! 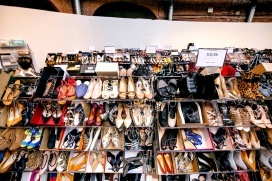 The Gilt carries designer clothing, handbags, and shoes. Enjoy as much as 80% off on available items. 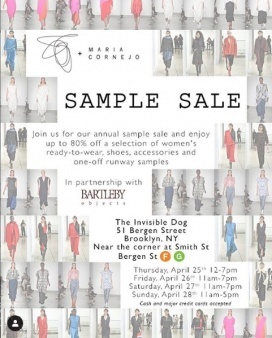 This celebrated shopping party features a constantly replenishing treasure trove of designer finds—at up to 80% off retail—plus free cocktails, snacks, styling services and more.